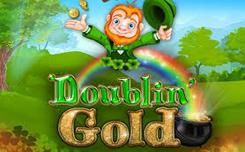 Doublin Gold is another exciting game from Booming Games. This game serves as another confirmation of the popularity of Irish folklore with its amusing leprechauns, golden pots, magic rainbows. This is a three-reel slot, where the icons are arranged in a 3×3 scheme. The game provides for the presence of ten active lines. The percentage of the game’s return is 95.32%. Here you can see images of the main characters of the slot – leprechauns, as well as sevens and clover. Leprechaun in a pot of gold serves as the symbol of Wild x2. There are also multi-colored sevens, which are the elements of mix-and-match. Leprechaun Wild Symbols is a symbol whose falling on the active line can bring the player multiplication of points to x3. Wild replaces other symbols, forming winning combinations. 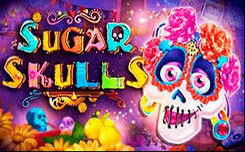 Doublin Gold is a fairly easy to manage bright slot. It will surely appeal to newcomers. Animated graphics and inherent Irish theme music creates a nice background for the game.